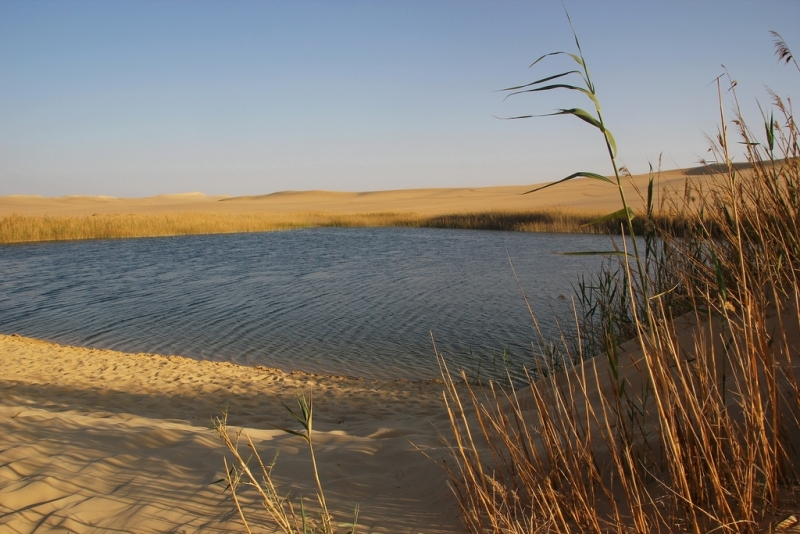 The most remote and unique of Egypt’s Western Desert Oases is Siwa. Nearly 350 miles from Cairo, this incredible speck of green in the sea of yellow sand that makes up Egypt’s west has a culture and history unto itself. 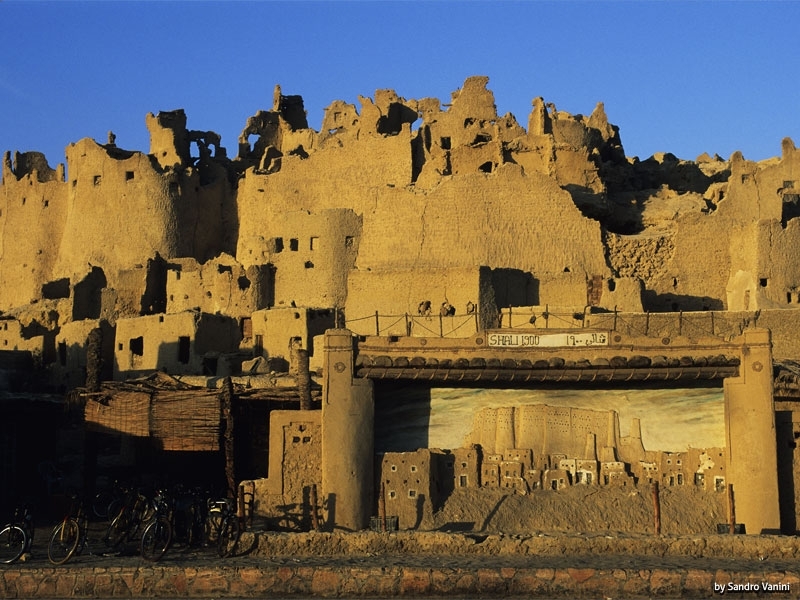 The people of Siwa, Siwans, actually speak there own language, which is closer to the Berber of the desert peoples further West than the Arabic spoken in the rest of Egypt. Until the 1980’s when a highway was finally completed connecting it to the coastal town of Mersa Mahruh, it was completely isolated from the rest of the country. 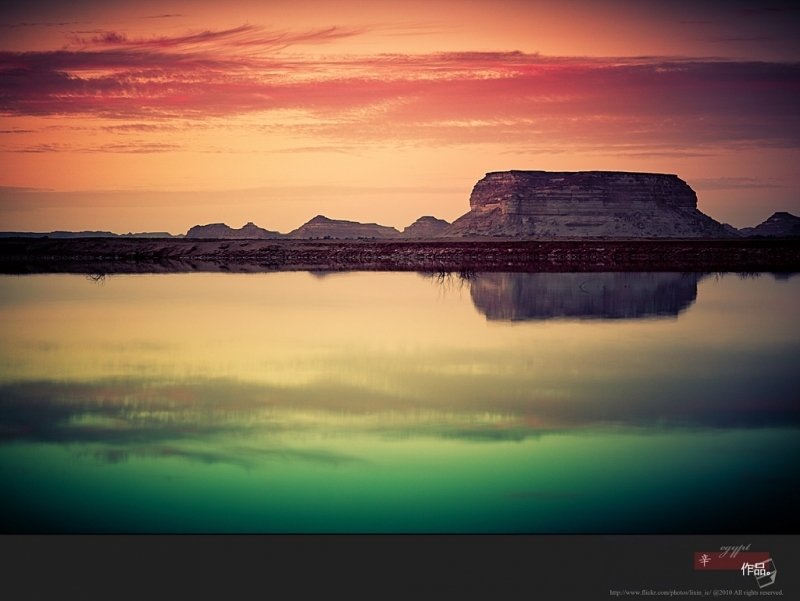 Television and phones were introduced relatively recently here and the internet only with in the past few years. 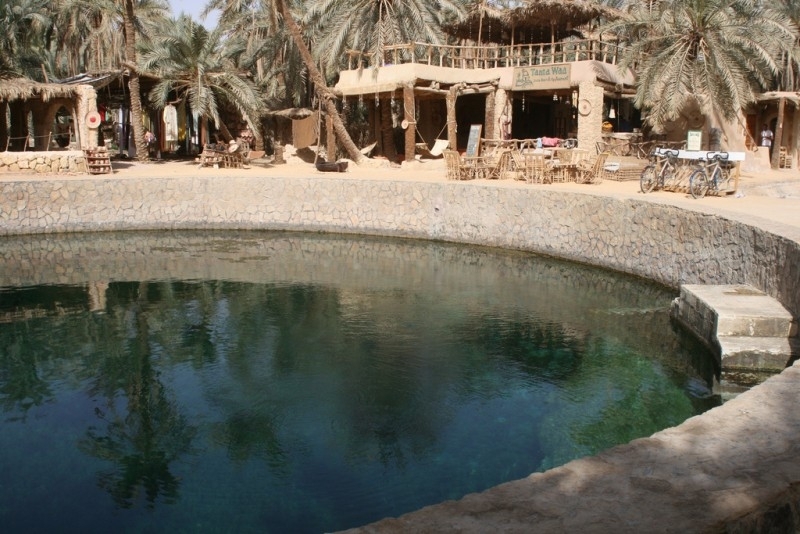 There are an increasing number of hotels ranging from budget hostels to a 5-star ecolodge in the oasis and the tourist trade is now firmly rooted as part of the local economy, but this has not managed to affect to core of the Siwan way of life yet. It is a very conservative community. Alcohol is banned and local women are rarely seen outside of their houses, it is very welcoming to visitors and the slow pace of Siwan life incredibly intoxicating. 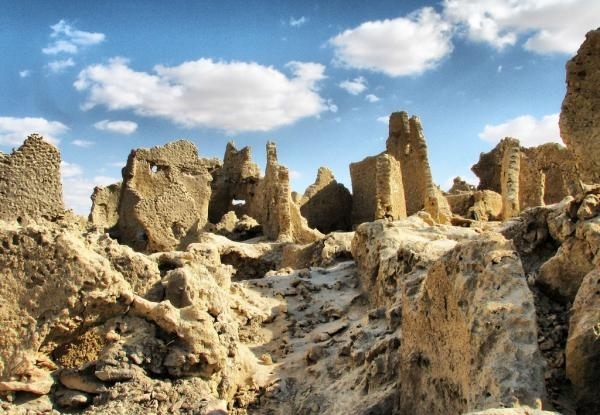 The entire population of the oasis lived in a 13th century mud-brick fortress at the center of town known as Shali until 1926 when a freak three-day rainstorm destroyed it. 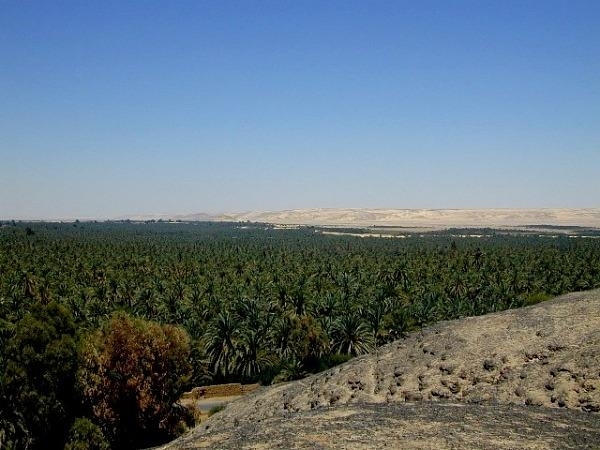 Shali is now a tourist attraction, where visitors climb up the melted mound of mud and salt that is the traditional Siwan construction material for views over the expanse of date palm and olive groves that stretched out or miles in each direction. oracle Alexander requested that his generals bury him in Siwa. The ruins of the temple are open to visitors today. 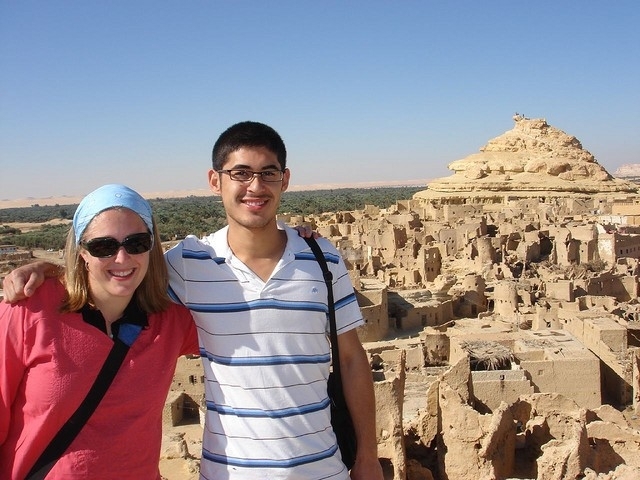 Also near the town center of Siwa is the Mountain of the Dead, a rocky hill covered in more than 1500 tombs that date back to the late pharaonic period. Some of the tombs from the Greco-Roman Period are decorated with beautiful and ornate funerary drawings, but these tombs are locked. You must ask the guard to open these tombs and pay him a tip. 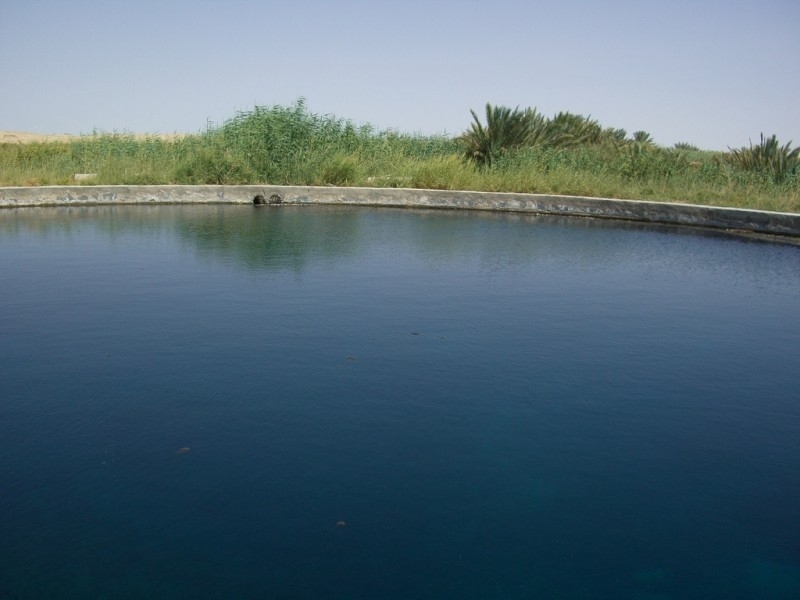 Another spectacular place is Fatnas Island, located on the edge of the oasis on the shore of Lake Siwa about 6 kilometers from the town center. Here there is a spring where you can swim as well as a café. Views over the lake at sunset are spectacular. 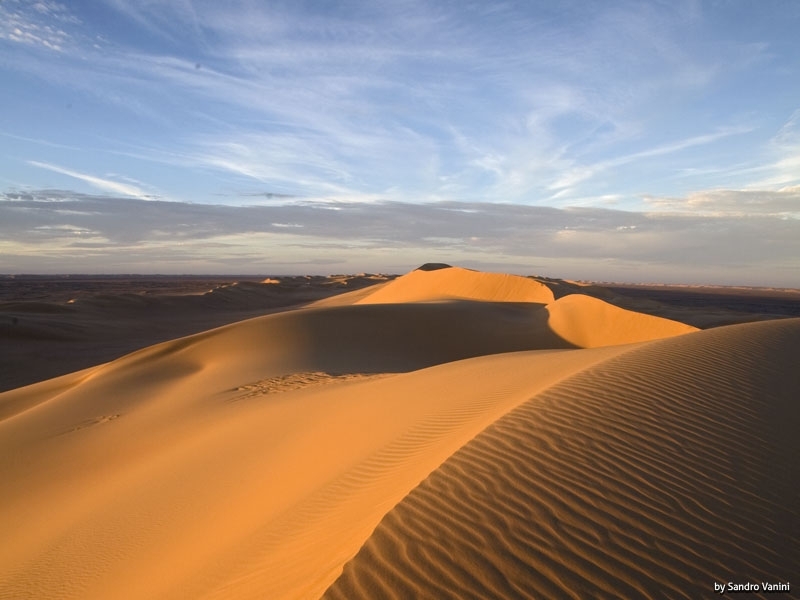 The oasis also sits on the doorstep of the Great Sand Sea, an expanse of desert that seems as if it should be the example for every desert the world over. 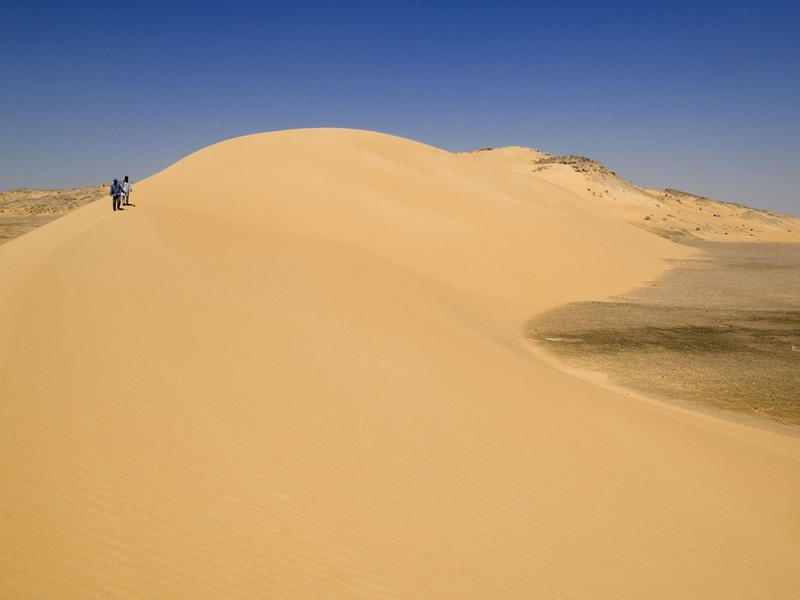 It is full of towering dunes and beautiful vistas. 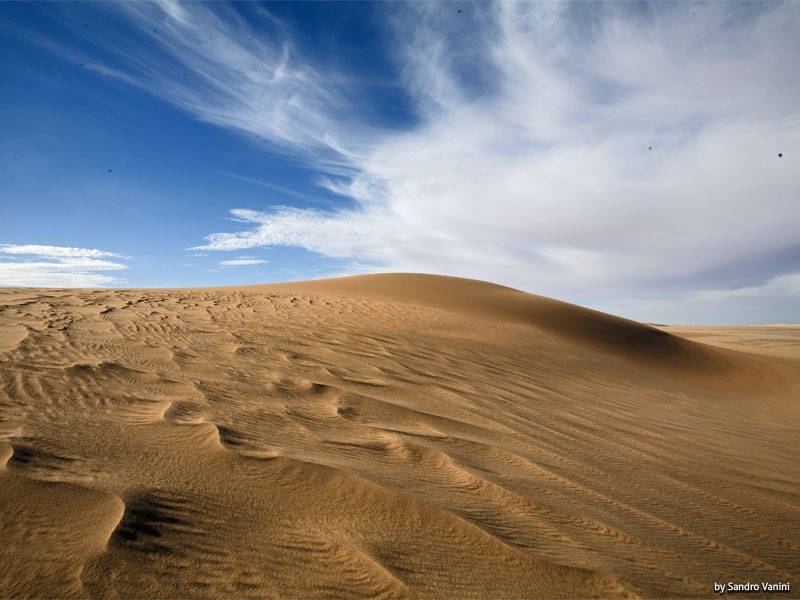 Desert safaris in 4x4 will take visitors out for day trips, overnight, or on longer expeditions to visit the beautiful springs and rock formations within this vast a and empty expanse. 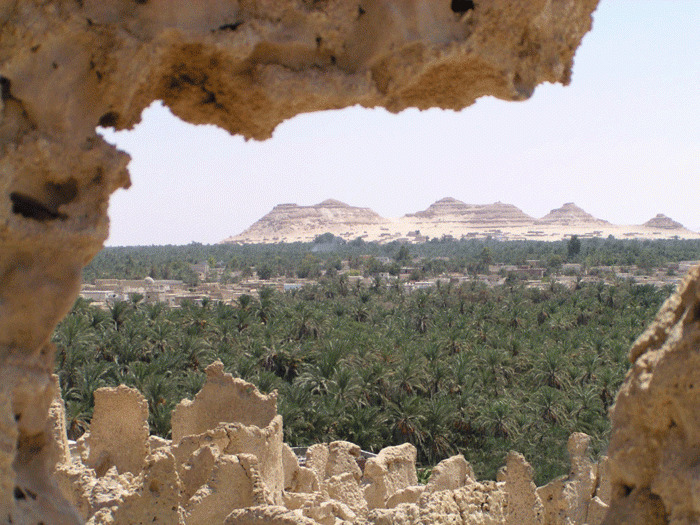 A trip into the desert should not be missed during your time in Siwa. 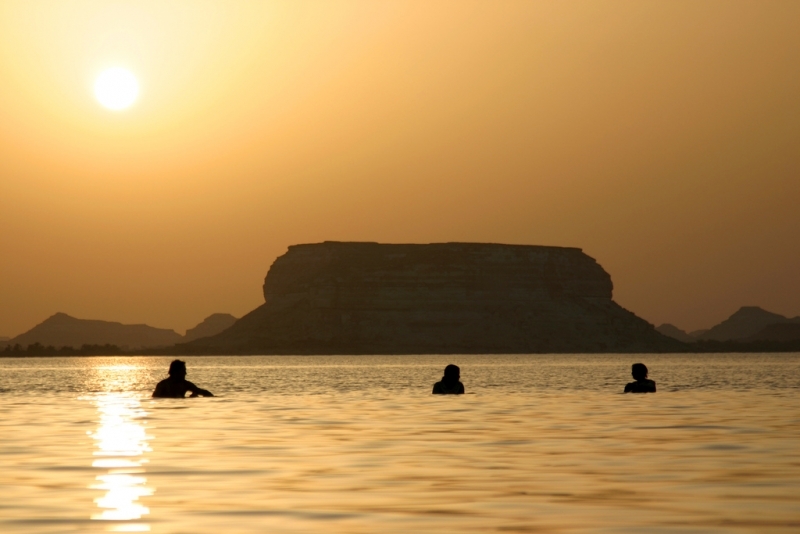 Siwa is a truly unique place to visit—culturally unique, relaxing, and stunningly beautiful. It is difficult to reach. The journey is around 8 hours by car and longer by overnight buses that run from Cairo, but it is well worth the effort once you are there. Though Siwa is a very friendly place, women should be cautious about dressing appropriately to respect the local culture. Keep upper arms and legs covered. Women swimming at any of the public springs like the popular Cleopatra’s Bath can expect some extra attention. It is best to wait to swim at the spring out in the desert.